Manufactured in the UK, our technical sales team are available to discuss any specific site requirements and provide clear advice on the correct grade to meet your requirements. Installation is very simple; After cutting the grass short, the grass protection mesh is unrolled and pinned to the surface using metal U-Pins or plastic pegs. 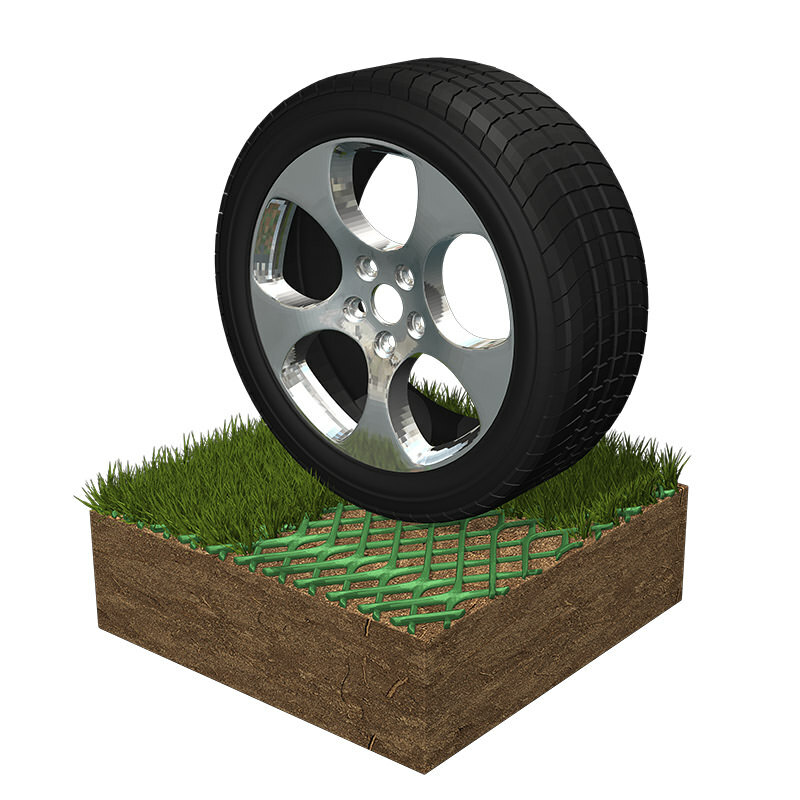 By allowing plants to grow through the plastic mesh apertures, GrassProtecta® grass reinforcement mesh allows the grass sward to intertwine with the plastic mesh filaments creating a strong, discreetly reinforced natural grass surface capable of withstanding vehicle loads, limiting damage and reducing soil compaction. GrassProtecta® grass reinforcement mesh can also be installed onto newly landscaped areas with the soil seeded as required. We strongly advise that newly installed GrassProtecta® slip-resistant grass reinforcement mesh should be left unused until the grass has grown through the plastic net apertures and a strong interlock between grassroots and the plastic mesh has been achieved – normally after a few weeks during the growing season rising to a few months out of the growing season. 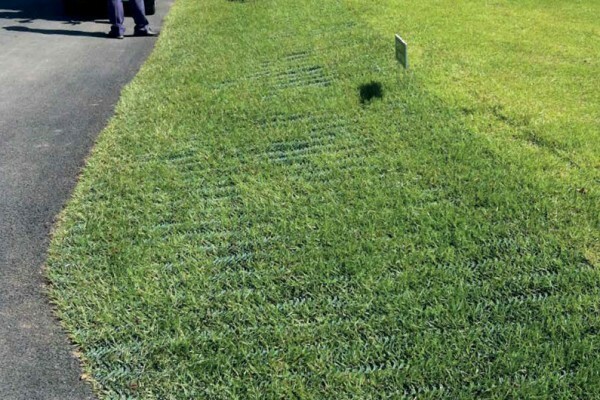 This process allows the grass to fully grow through the grass reinforcement net and allow the grass sward to create a strong interlock with the mesh. If the surface is used immediately grass growth may take a longer period of time and may limit the effectiveness of the product. 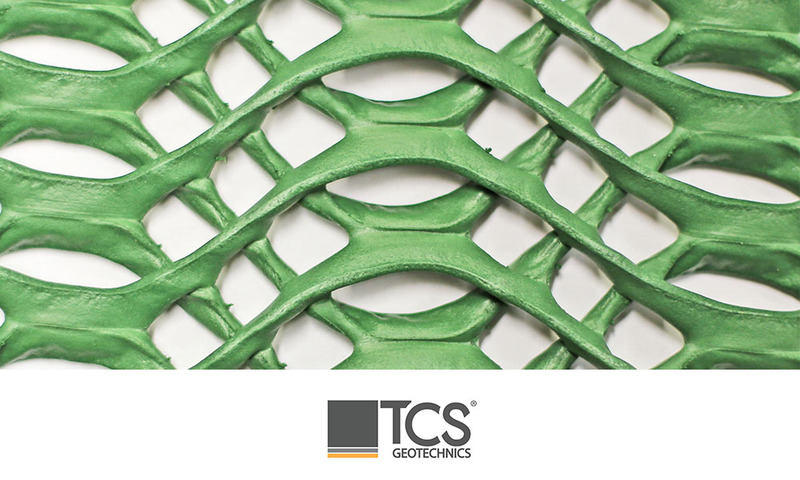 TurfProtecta® turf reinforcement mesh is an extruded black or green, lightweight plastic mesh for grass reinforcement and protection where the occasional light vehicle or pedestrian use is required for applications including car parking, access routes, and aircraft taxiways. 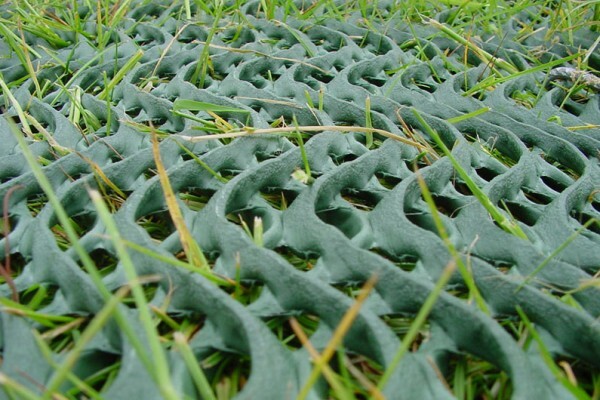 Supplied in 2m x 30m rolls and in two grades, ‘Standard’ and ‘Heavy’ as determined by the application, TurfProtecta® turf reinforcement mesh is ideal for reinforcing grassed surfaces prone to wear, rutting and smearing which can result from a muddy surface incapable of being used. 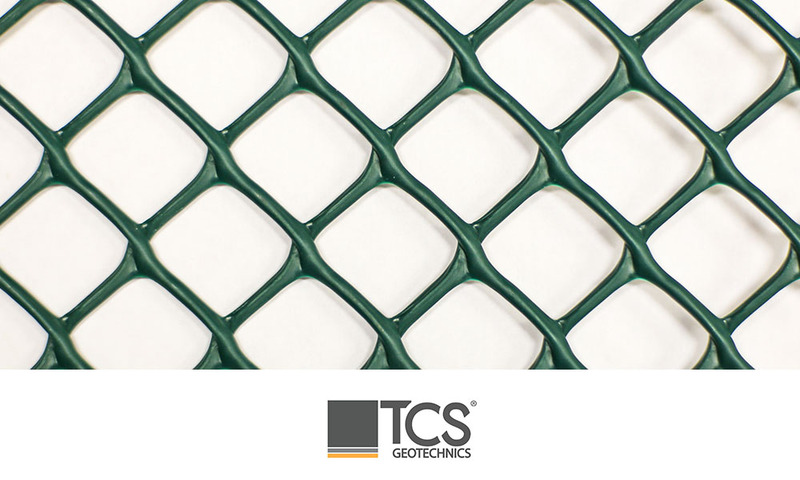 TurfProtecta® grass reinforcement net is manufactured from 100% recycled high-density polyethylene, the mesh is UV stabilised and simple to install; after cutting the grass short, the TurfProtecta® turf reinforcement mesh is unrolled and pinned to the surface using metal U-Pins or plastic pegs. 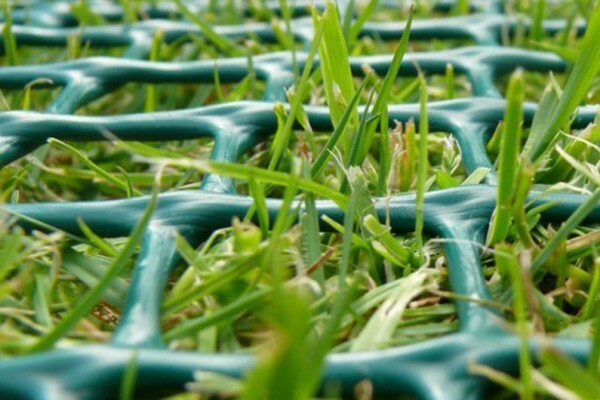 By allowing plants to grow through the plastic mesh apertures, the grass sward intertwines with the plastic mesh filaments creating a strong, discreetly reinforced surface, limiting damage and reducing soil compaction. It is advisable to allow the grass to fully establish before the area is used to create a stronger reinforced surface (this may take only a few weeks to a few months depending on the grass growing season). 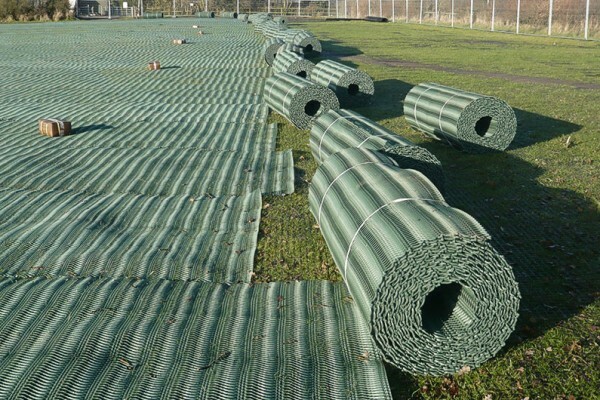 It is strongly recommended that installation be carried out during the growing season to allow a strong interlock between the TurfProtecta® mesh and the grassroots. 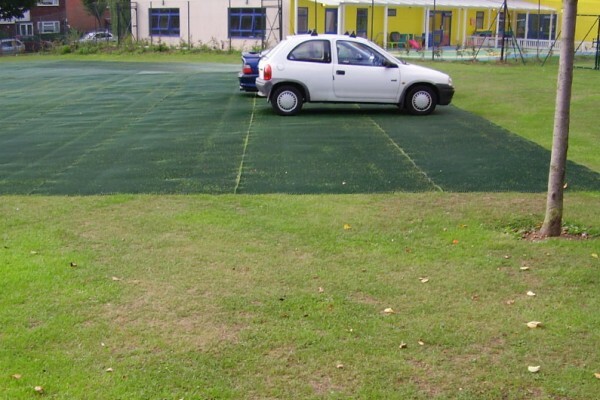 The grass will grow through the reinforcement mesh, creating a natural reinforced and stabilised grassed surface capable of the applications including car parks and grass access routes. After a few months of the growing season, the grassroots will have intertwined with the mesh filaments creating a strong stable surface capable of withstanding heavy pedestrian and occasional vehicular use. The grass can be cut as normal and will have regained its natural appearance. The grass can, however, be mown, rolled and fertilised as usual during this period. 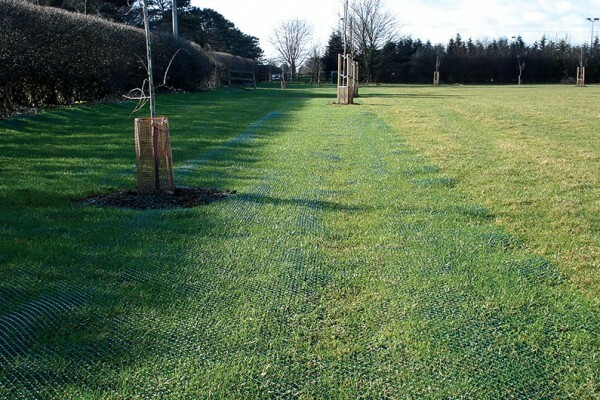 TurfProtecta® grass reinforcement mesh can be installed onto existing grassed surfaces or newly landscaped areas (Laid on top of a level, well drained, seeded soil, pinned and then covered with a layer of topsoil and seed), for both permanent or temporary applications. Turfprotecta® is the perfect ground reinforcement mesh for grassed areas prone to becoming muddy and rutted in wet conditions.